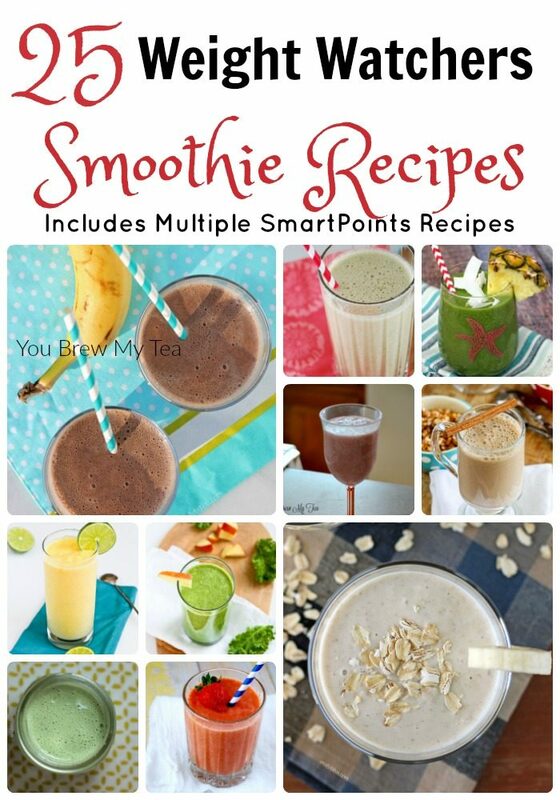 Weight Watchers Smoothie recipes are one of my favorite fast breakfasts. Since the Beyond The Scale program came about, how you calculate smoothies is different. Where fresh fruits and vegetables are typically free, in smoothies they are calculated. So, in the list below you will see higher SmartPoints values than you may expect on some of these recipes, but they are still amazing and healthy options for breakfast, dessert, or a snack. We drink Weight Watchers smoothies almost every day for breakfast. Well, I drink them once or twice a week, but my Beau drinks one every single morning. That means we use a blender a LOT in our house. I’ll be honest, I didn’t think there was much to the hype behind the Ninja Auto IQ Blender until I got one. We are on year 2 of using this daily and it still works just as good as the first day. Our smoothies are done in under 60 seconds. Seriously, if you are going to invest in a blender – this is the one. Making a Weight Watchers smoothie is a great way to get an easy meal in on the go. There are tons of flavors, and you can easily customize for your own preferences. I like adding in Greens, Flax Seeds, Chia Seeds, or even Hemp Hearts to add even more superfood or protein. If you do that, though, you’ll need to recalculate the points values. I use the Weight Watchers Recipe Builder in my account to calculate the points on recipes, but you could also purchase and use the Weight Watchers Smart Points Calculator. Smoothies are a unique thing within the Weight Watchers world. Since eaten fruit is free, many don’t understand why smoothies have higher points. The difference is that when you drink something your body isn’t feeling as full as when you eat it. So, Weight Watchers has given smoothies higher points for this reason. You can easily take in a lot larger calorie count of fruit than your body needs just to feel satisfied. They are still a great option for many, and make an excellent substitute for a milk shake. Thank you for the extensive list…plenty of choices. I’ll be trying several of these! Thanks so much for joining us at Delicious Dishes! 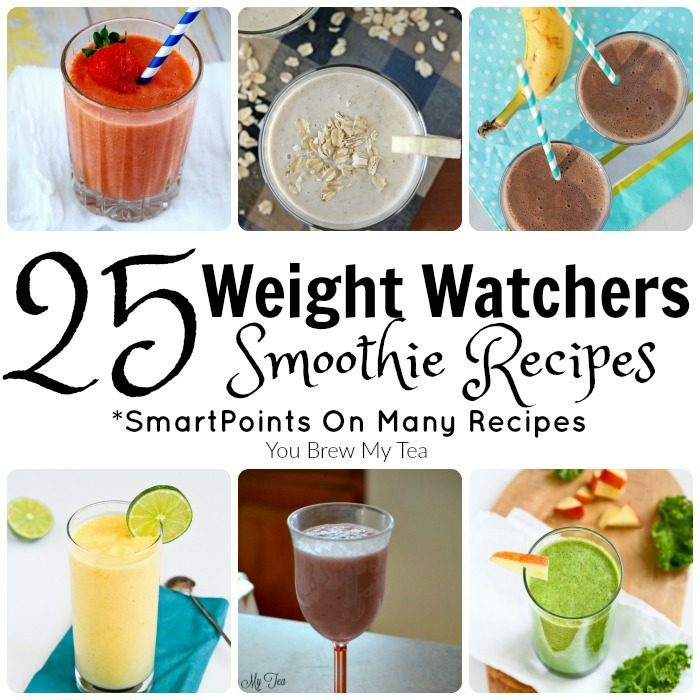 We love your Weight Watchers Smoothie Ideas and hope you’ll join us again this week! If I add protein powder how many points will it be? It varies depending on the protein powder. You would have to simply calculate it separately.